Limousine! 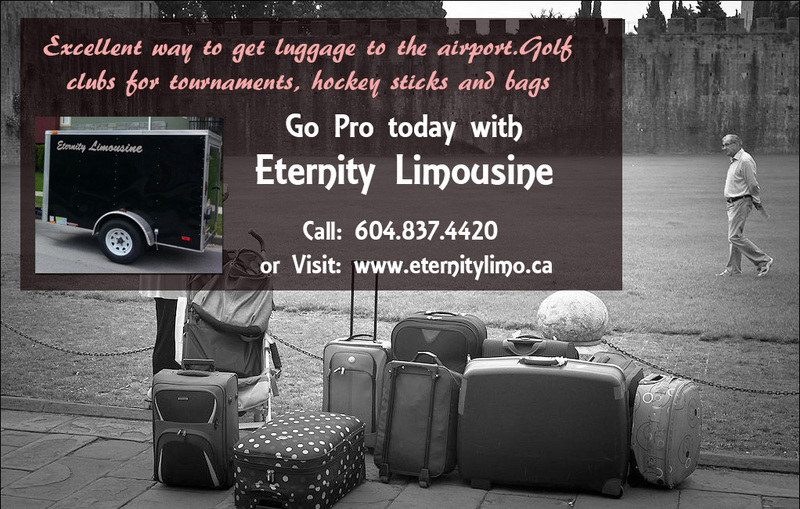 Any occasions that have a group needing to take a lot of things along…..
We are the best in the Vancouver and surrounding area to offer the use of our Luggage Trailer with your LIMOUSINE BOOKING . WHAT A RELIEF, not having to fight with your luggage or gear. Call us at 604.356.9600 or use this link to book or request more information. you have not heard back from us – PLEASE check your junk mail.